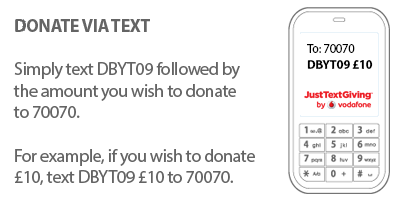 Making a donation to Derby Theatre is easy, and incredibly valuable. Your donations keep our heart beating. They allow us to bring you the best theatre from around the country, produce our own ground-breaking work, and run our exceptional creative learning and community engagement programmes. A gesture as simple as rounding up your ticket purchase by £1, £3 or £5 and giving your permission for us to claim Gift Aid on the additional amount can go a really long way. Gift Aid is a government initiative that lets us claim an additional 25p from the Inland Revenue for every £1 you give us. A little Gift Aid magic transforms a donation of £10, for example, into £12.50. This means your donation to Derby Theatre can do even more at no additional cost to you! We can reclaim tax on any donations made by individuals, whether large or small, regular or one-off. As long as you're a UK taxpayer, all you need to do is give us your permission to Gift Aid and we'll handle the rest! If you pay a higher rate of tax, then you can claim the difference between the higher rate of tax and the basic rate of tax on the total 'gross' value of your donation yourself. You can make this claim on your Self Assessment tax return. For more information see HM Revenue & Customs' website or speak to a financial advisor. The easiest way to donate is through Box Office when you buy your tickets, either on the phone or online, but we love cheques too! If you'd rather send a cheque, please make it payable to University of Derby Theatre Ltd and enclose a completed Gift Aid form which you can download here. Please post to: Rachael Thomas, Derby Theatre, 15 Theatre Walk, St Peter's Quarter, DE1 2NF. When booking tickets or attending events at Derby Theatre, Déda and QUAD, or with Baby People, you will have the chance to contribute to the Plus One scheme. Working closely with Barnardo's and our other expert partners, we make sure your donations go to a cause worthy of their incredible generosity. Every donation allows us to offer even more unforgettable experiences to families involved with the care system. If you are curious about Plus One, check out the 'Plus One' tab on our 'Get Involved' pages. Plus One is a collaborative creative partnership compromising Derby's major cultural not-for-profit organisations. We are grateful to The Mighty Creatives for their support and initial investment. Your legacy becomes our legacy. By remembering Derby Theatre in your Will, you will help us touch countless lives across our community. Derby Theatre's innovative creative learning programmes, and our brilliant, boundary-pushing artistic output, are gifted to our community by the fantastic generosity and loyality of those who support us. 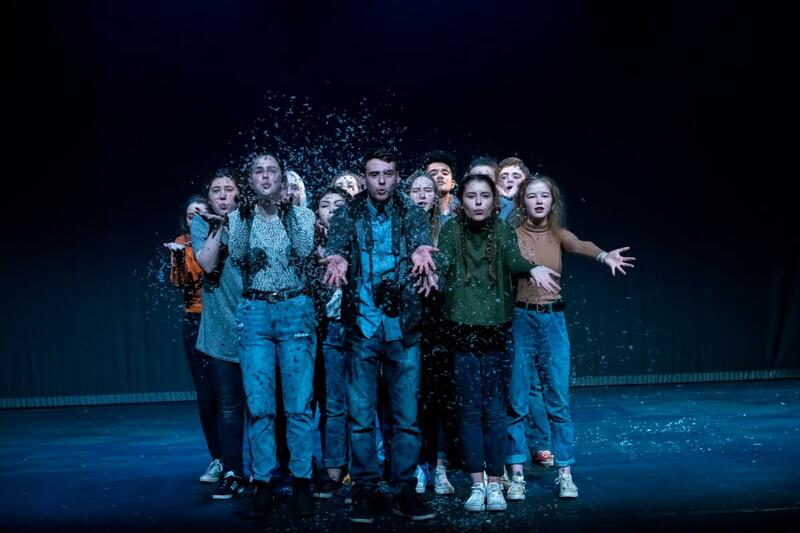 What's more, The University of Derby Theatre Limited (our 'real' name) is a registered charity, so your gift will be free from inheritance tax under existing legislation. Derby Theatre welcomes legacies of any amount. Every pound has an impact. Depending on the size of your bequest, we can sponsor a production in your memory, or that of a loved one. If a particular production or project is special to you, such as the Christmas play or our Youth Theatre programme, your sponsorship will go specifically towards funding its future. Alternatively, you may wish the capital sum involved to be held as an endowment and spent gradually over a number of years. You can specify (either in your Will, or in a seperate 'letter of wishes') the way you would like your bequest to be dealt with. Altternatively, you could leave this decision to the Theatre's Board of Trustees, your Executors, or to a loved one. The choice, as always, is yours. You are very welcome to contact our team for further information. Any conversation you wish to have about leaving a legacy would be discussed in the strictest confidence.